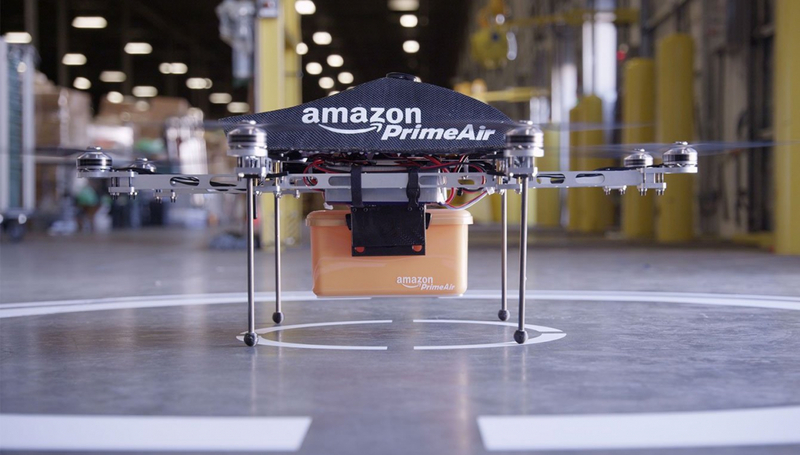 In the more than two-and-a-half years since Amazon CEO Jeff Bezos unveiled intentions to deploy aerial drones for the purpose of delivering packages to customers, we’ve seen a lot of advancements in and around the drone industry. That said, there’s still an enormous amount of work that needs to be done, both legally and logistically. Amazon is well aware of these challenges and has been taking the necessary steps to move forward with its plans according to a recently approved patent. In the patent, titled, “Multi-use UAV docking station systems and methods,” Amazon proposes using common vertical structures including streetlights, cell towers, church steeples, office buildings, parking decks, telephone / electrical poles and radio towers as docking stations for its aerial fleet. Said docking stations would be able to recharge drones while others could also feature an integrated package locker or serve as safe zones during inclement weather. Docking stations could even include solar panels, weather monitoring tools and security cameras, the latter of which could also be used by local authorities for both traffic monitoring and crime prevention. And with Wi-Fi, docking stations could serve as free Wi-Fi hotspots. The patent was filed on December 14, 2014, and approved a little over a week ago on July 12. PatentYogi discovered and wrote about it a few days later. As always, it’s important to point out that just because a patent is approved doesn’t mean we are guaranteed to see it come to fruition. Often times, companies file for patents as a proactive measure to stifle the competition.